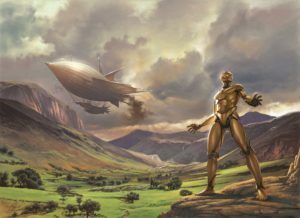 What is it about airships that makes them so compelling? 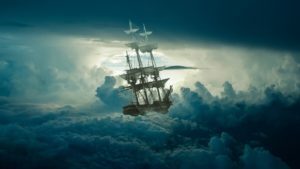 while others are three-masted sailing ships held aloft by pixie-dust and spider-silk–like the Moonbeam. Airships have captured the imaginations of Steampunk enthusiasts from the very beginning–just do a search for “Airship” on Facebook and see how many pages you get! For one thing, it is a way for a group of friends to structure their Steampunk cosplay. I think the attraction is rooted in the primal urge of Man to want to fly. After all, as early as the 1400’s Leonardo da Vinci was designing helicopters. 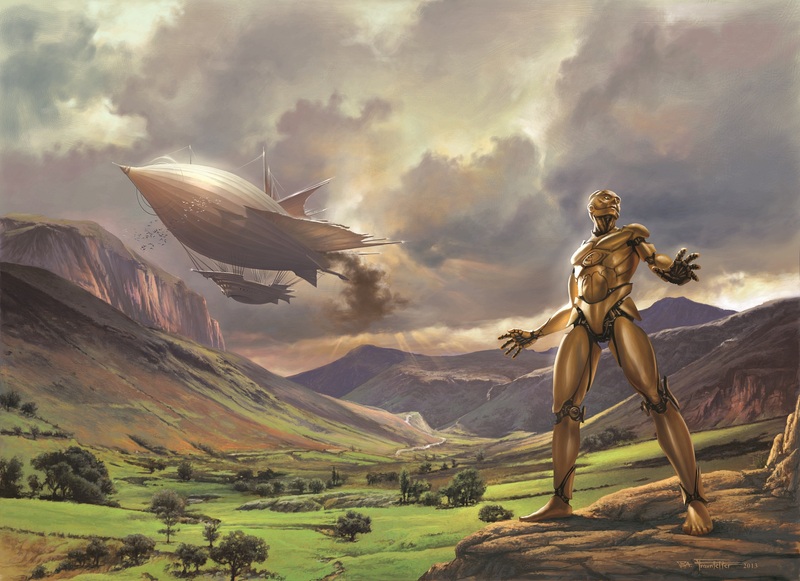 And airships are the perfect vehicles for Steampunk–the technology existed in the time period to create them, and gears and gadgets can be used to enhance what did exist to great effect.